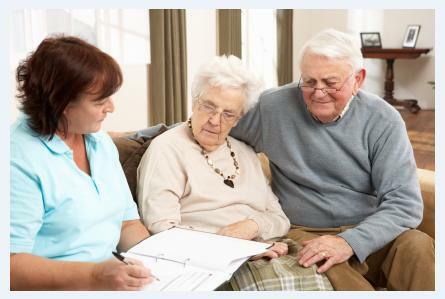 Employing effective homecare management techniques will help expand business, maintain clients and reduce the amount of time spent on time consuming tasks like filing, phone calls and data entry. While more efficient homecare management sounds nice, many agency owners and administrators wonder what they can do to be better managers. A major piece of homecare management is managing caregiver employees who are representing your agency while working in the homes of your clients. Ideally, managers should maintain an open line of communication with caregivers; letting them know how you expect them to act and what level of care they are required to provide. While verbal communication is helpful, a system of checks and balances will help ensure that homecare employee management is streamlined. One way to institute a system of ongoing communication is the utilization of home care software. ClearCare care management software offers a unique way to communicate with employees via task check-ins from the field, where you will receive updates throughout the day – instantly knowing whether or not employees are on time and on track. Although managing employees is an integral piece of successful homecare management, you must also take time to “manage” your clients. Keeping clients happy, and choosing to work with your agency, requires that you devote a certain amount of time to communicating with clients. We know that homecare management is typically more than a job; it’s a commitment to your clients and maintaining the independence of agency seniors. Let ClearCare help you do your job better!